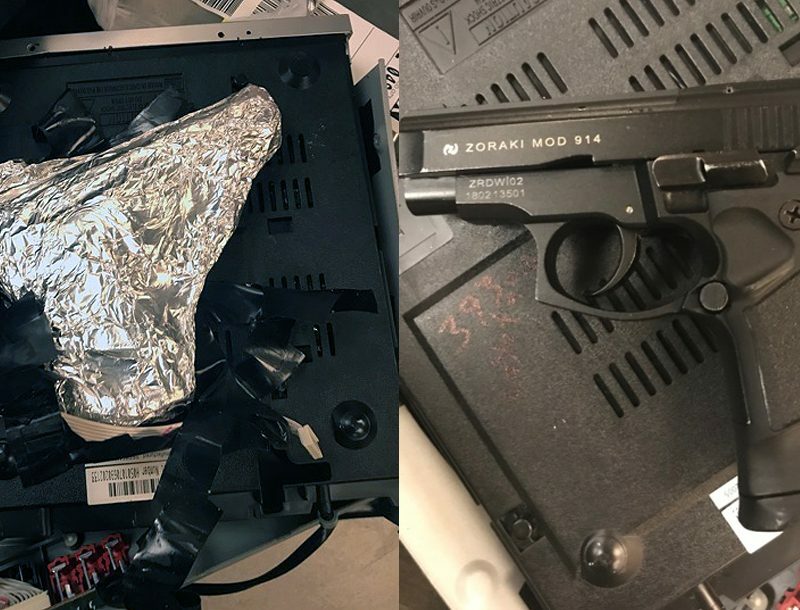 Tactical Weapons visited the recent S.H.O.T. (Shooting, Hunting and Outdoor Trade) Show held at the Orange County Convention Center in Orlando, FL. Our staff searched the floor to report on the latest and greatest developments in the firearms industry. These are just a few of the products that really caught our eye! 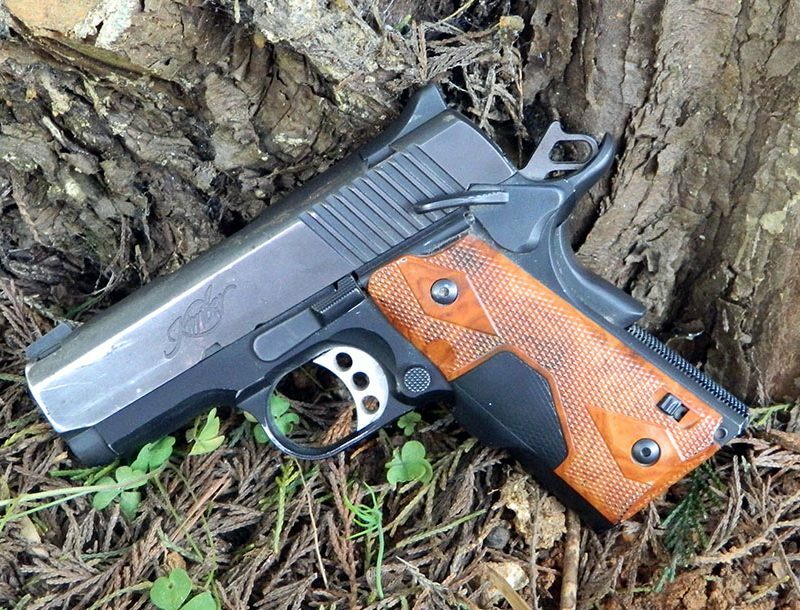 Just when we thought that there is no way Kimber could put another twist on the 1911, they unveil six new pistols for 2009, including the Tactical Entry II. It’s a loaded 1911 semi-auto chambered in .45 ACP, featuring a stainless steel frame, match grade barrel, night sights, an extended magazine well, and 30 lines-per-inch frontstrap checkering for a non-slip grip. 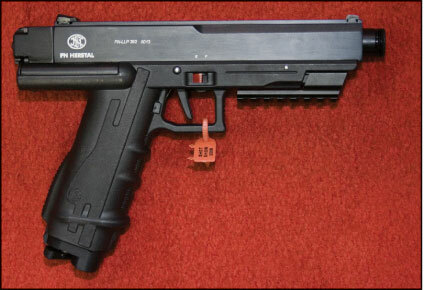 The most significant aspect of this pistol might be the integrated tactical rail for attaching lights/lasers. Discharging the Tactical Entry II requires a four-to-five pound pull on the premium skeletonized aluminum trigger, after releasing the handgun’s reliable safety systems. 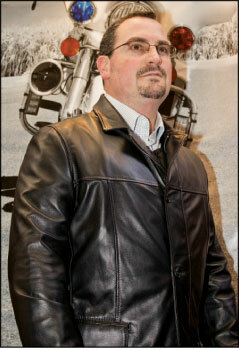 For more information, visit www.kimberamerica.com. The revolutionary Ruger LCR was unveiled publically at the 2009 SHOT Show but TW was given the opportunity to fully test and evaluate it in December 2008. The 13.5 ounce, small frame, five-shot revolver has just three main components: a “techno” polymer fire control housing, an aircraft-quality aluminum monolithic frame, and an deeply fluted stainless steel cylinder. The fire control components are assembled with absolutely no hand fitting, unlike most other revolvers. Range tests proved the ability of this slim carry’s accuracy and durability using +P loads from Corbon and Remington. At seven yards, the LCR easily punched groups hovering at 1-inch, using the comfortable Hogue recoil-taming grips. 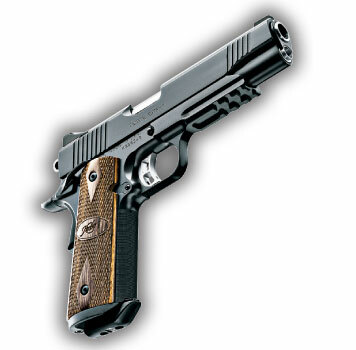 Sub 1-inch groups were obtained using optional Crimson Trace Laser Grips designed for the LCR. The trigger breaks unusually smooth at an estimated six to seven pounds due to a friction-reducing cam. The LCR would serve well in concealed carry or backup assignments. 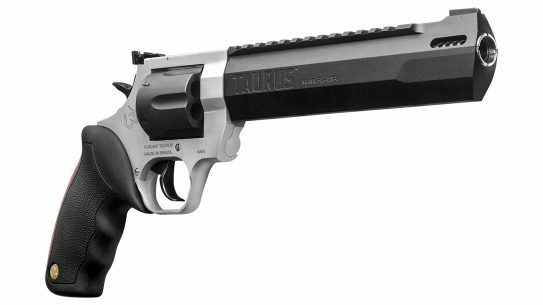 For more infor­mation, visit www.ruger.com. 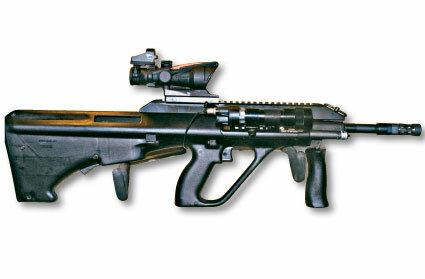 Kel-Tec’s RFB (Rifle Forward ejection Bullpup) is a gas-operated, semi-automatic rifle that uses standard FAL-type magazines to feed up to 20 rounds of 7.62 NATO. The bullpup’s 26-inch length gives the rifle an unusually short configuration that utilizes a tilting block breech, 18-inch barrel, and a trigger assembly with up to five individual adjustment parameters. 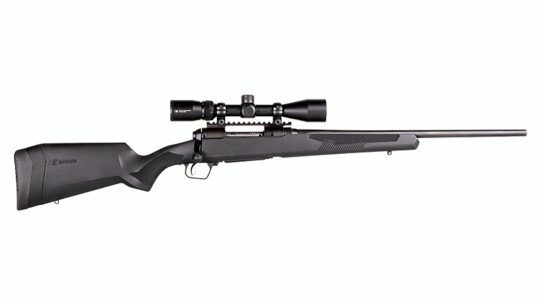 The rifle is completely ambidextrous with a reciprocating operating handle that can be switched to either side, and a dual-action safety. Terminal ballistics are improved with the RFB’s longer barrel that gives 10% more muzzle velocity when compared to similar rifle sizes. For those who saw the original RFB design last year, improvements have been made including a click-adjustable gas system and the ability to change barrels. For more information, visit www.kel-tec-cnc.com. Engineered around the versatile .338 Lapua Magnum cartridge, Ashbury’s ASW338LM is based on the combination of a Surgeon XL bolt action receiver and the SABER-FORSST modular stock chassis system. This sniper system enables shots on enemy targets and lightly armored threats out to 1,500 yards. The ASW stock can be folded and extended, while incorporating an adjustable cheek piece and folding monopod. The composite forend includes a monolithic top rail, a thermal heat management system and side rails that are co-bore aligned. Bullets are sent out of a Rock Creek 416 5R Pinnacle barrel with an optional muzzle brake or suppressor system. The manufacturers report sub-MOA accuracy with RUAG target ammunition beyond 1,500 yards. 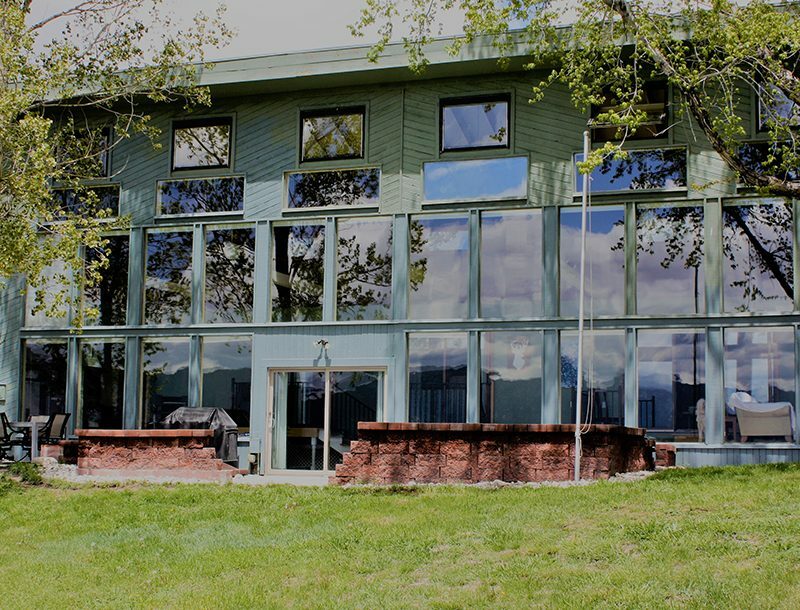 For more information, visit www.ashburyintlgroup.com. Tactical Weapons was on-hand for an exclusive opportunity to testfire and evaluate the new Steyr AUG A3 SA. 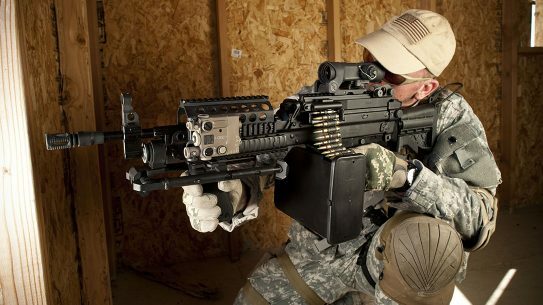 The opportunity to own an AUG (pronounced “A” – “U” – “G”) has eluded the American market for nearly two decades. The newest semi-auto version is civilian-legal and represents years of refinements. 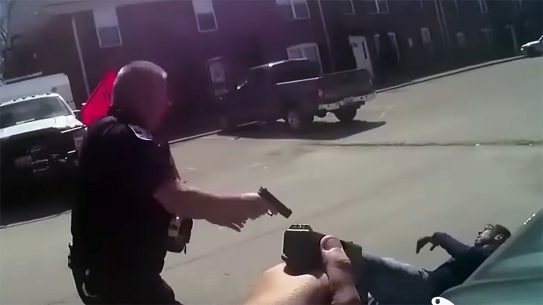 The testfire was uneventful, as each shooter blew through 30-round magazines utilizing a variety of optics mounted on the rifle’s Picatinny rail. Accuracy on paper was impressive as this compact bullpup represents an innovative approach to carbine design that’s been unmatched for years. For more information, visit www.steyrarms.com. The Countashot MOD.1 is a shot counter that opens a new world of weapon monitoring. In the military, troops are instructed to keep round counts for crew served weapons and peculiars (like sniper rifles) so barrels can be replaced and scheduled maintenance can be applied. Realistically, shot books are difficult to keep up and round counts are often estimated when the dust settles. 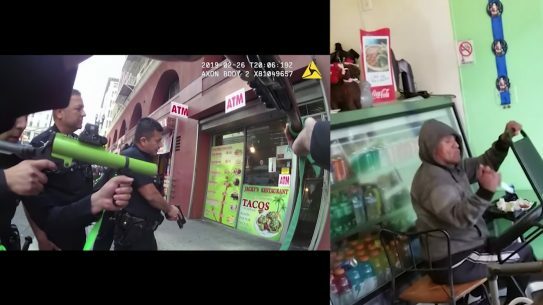 Countashot records, stores, and gives a real-time visual readout of each shot fired allowing the operator to instantly know how many rounds have been shot. 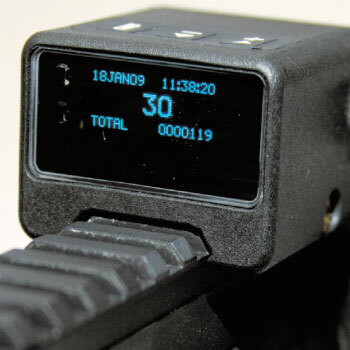 Mounted on free real estate on a quad-rail handguard, the Countashot counts down and gives a heads-up display of the number of rounds remaining and a lifetime round count of a particular firearm. 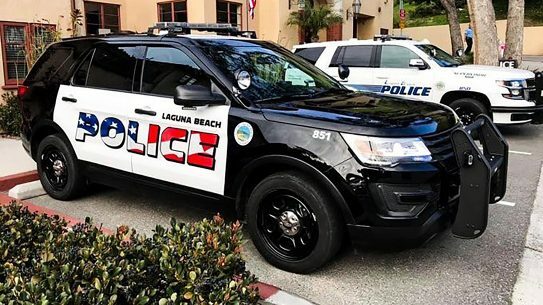 For LE, data can be recalled with the date and time to accurately report the number of rounds fired from a particular firearm in a critical moment. For more information, visit www.leitner-wise.com. They have finally arrived. HK unveiled what may go down as two of the most highly anticipated rifles in black rifle history. These ambidextrous semi-auto rifles use the proprietary HK gas piston system found on the HK416/HK417 and G36 and are manufactured at their new facility in Newington, NH. To conform to German export regulations, design changes prevent the upper receivers from working with other AR-style platforms. The MR556 and MR762 carry the same free-floating quad rail system as their predecessors and barrels are created using HK’s famous cold hammer forging process. For more information, visit www.hk-usa.com. Drawing much attention was S&W’s new M&P15 dressed in Magpul flat dark earth furniture. The MOE is a semi-automatic, 5.56 NATO-chambered, gas-operated carbine. Weight is just 6.5 pounds, the 4140 steel barrel is chrome bored and matched to a chromed bolt carrier group and chamber. Utilizing an M4-style A2 post front sight, a Magpul MBUS elevation-adjustable flip-up sight sits at the rear of the anodized aluminum receiver. Magazines are Magpul’s highly acclaimed 30-round detachable polymer PMAG with anti-tilt follower, and the collapsible stock is the new MOE A-frame design featuring a more streamlined configuration. Good handling is achieved with the aggressively textured MOE pistol grip and the carbine-length MOE handguard with slots for mounting Picatinny rail sections for tactical accessories. 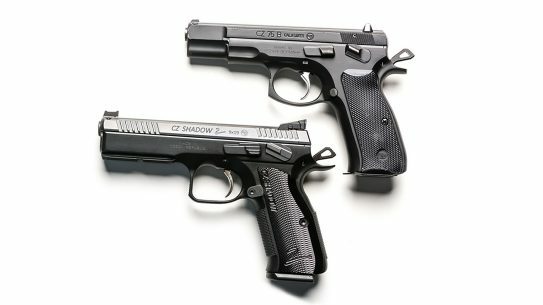 For more information, visit www.smith-wesson.com. The .308-chambered Model 10 BAT/S-K is a new modular sniper system built on a modular aluminum chassis that features Savage’s new 3-D AccuStock bedding system. The 3-D bedding system uses a wedge bolt to push the recoil lug back into the aluminum spine to prevent any movement forward and aft, while the bedding cradle literally squeezes the action from the sides as the screws are tightened. The BAT/S-K system also permits the user to exchange the stock of an AR-style buttstock or pistol grip, optimized to resemble an autoloader. 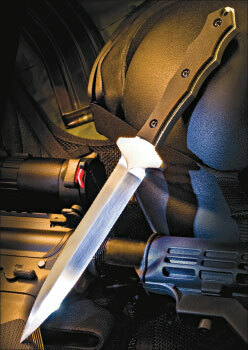 The optional target-style stock is multi-adjustable for comb height and length of pull. Other features include the Savage AccuTrigger, a 10-round detachable magazine, 24-inch free-floating, fluted, heavy barrel, a proprietary muzzle brake and an oversized bolt handle. 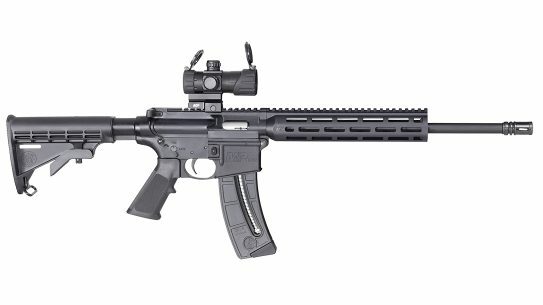 For more information, visit www.savagearms.com. Not to be outdone in the surging trend to create a new .380-caliber pistol, Sig Sauer launched their latest innovation that utilizes certain aspects of the single action 1911 and a slide that resembles classic Sig Sauer styling. 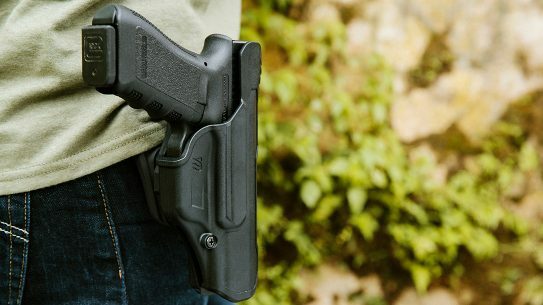 Designed as a concealed carry or backup, the P238’s overall length is just 5.5 inches and weighs less than a pound to carry. The anodized alloy beavertail style frame sports fluted aluminum grips while the stainless steel slide features Siglite night sights that are removable and adjustable for windage. This concealable package includes one six-round magazine and is available in two finish options: either a two-tone or a corrosion-resistant Nitron. 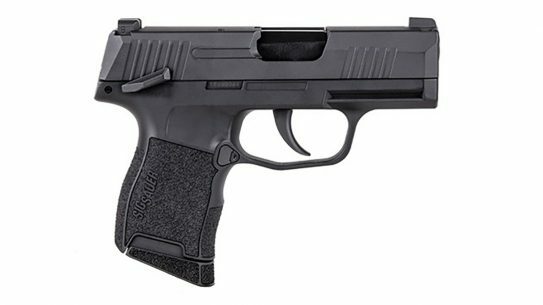 For more information, visit www.sigsauer.com. 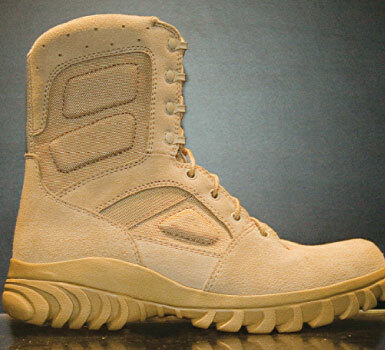 The sole of an Altama desert boot often made the first footprint in the sandbox for many troops at the start of GWOT. Altama’s Desert Hoplite series represent combat experience and have been built from the ground up incorporating user experience. The ”Sand Shark Lug” sole pattern is particularly designed for the powder-like sand encountered in the Middle East. The non-marking rubber outsole is slip, oil, and acid resistant while the midsole is made of a shock-absorbing polyurethane. Instep drainage vents help the boots breath and wick away moisture, and built-in protective foam impact pods help cushion against a harsh environment. Best of all, this Altama boot is 100% “Made in USA.” For more information, visit www.altama.com. The idea sounds far-fetched—5.11’s new “Light for Life” is a rechargeable flashlight containing no batteries. Initially developed for the auto industry, this battery free technology can now benefit the public safety sector at a competitive price. The 5.11 light is rated for a life of more than 50,000 cycles (or 130 years if you use and recharge the light each day) and is fully recharged in just 90 seconds. 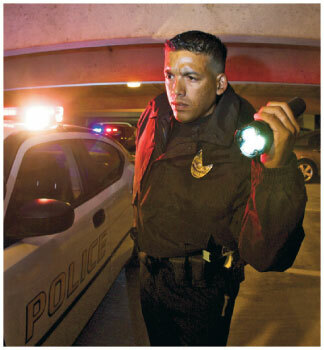 The flashlight’s body is made of a lightweight polymer that is resistant to impact, abrasion and water. The light offers four-way power ratings including a standard output of 90 lumens, a peak output of 270 lumens, a strobe and a standby. Each kit will include a 12V DC car charger and mounting plate ideally suited for patrol, or a 120V AC household adapter sold separately. For more information, visit www.511tactical.com. 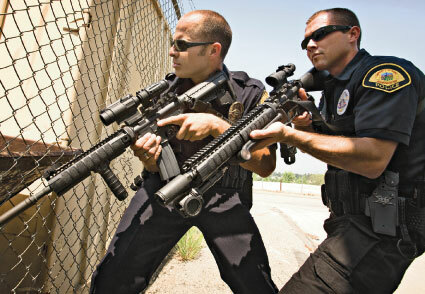 Soon to be available for law enforcement sale only is FN’s new Less Lethal pistol. Complementing the proven FN303 projectile launcher, this pistol shoots the same impact cartridges with an effective range of 20 meters. 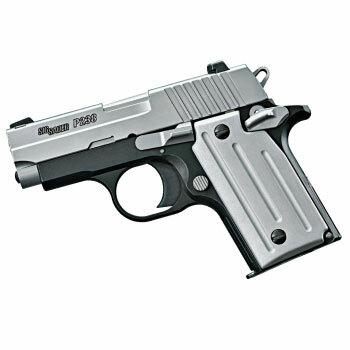 The pistol comprises a stainless steel operating system, an aluminum barrel and upper receiver, and a high-impact urethane lower frame featuring a lower accessory rail. 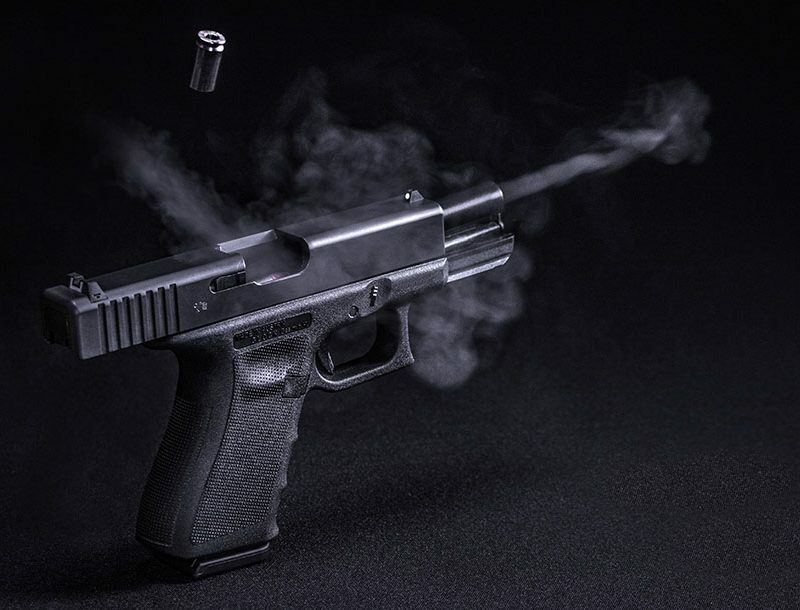 Each semi-automatic pistol comes with one magazine that holds a disposable CO2 cartridge and seven projectiles. Projectiles are specifically designed to reduce the risk of penetration and can include washable paint, indelible paint, or PAVA powder. For more information, contact FN by e-mail at info@fnherstal.com. The best armor is the protection you wear but too often, the vest is left behind because it is too bulky, to hot, or heavy. Undercover work. Personal protection. 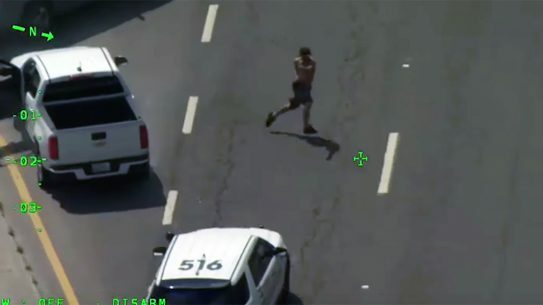 Courier. There are many applications for the armored clothing ensemble now available from ANXO. Their urban collection provides wearable bullet protection that slips on effortlessly. Fashion follows modern Italian designs, with materials that make it light and comfortable. TW tested a few articles at their booth and was impressed with the covert appearance and quality construction. 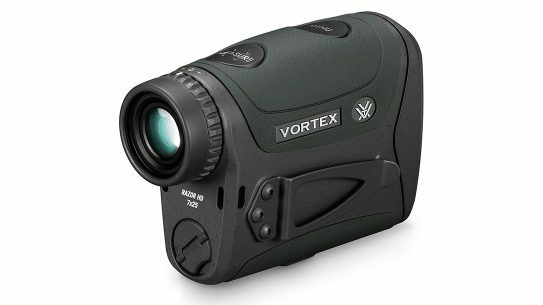 For more information, visit www.anxoarmor.com. Limited tactical ammunition availability and increased prices have caused us to pay certain notice to Barnes’ introduction of a new line of bullets designed for military, law enforcement and training use. Three new bullet types meet a variety of applications and include the RRLP (Reduced Ricochet, Limited Penetration), the TAC-LR manufactured for extreme long-range shots, and TAC-X for double-diameter expansion and maximum penetration. With rising training cost and the need to meet annual qualification and training standards, reloading is becoming a growing consideration for agencies with tight budgets. Barnes offers all-copper bullets for many tactical rifle and pistol calibers and bullets for reloading the .50 BMG. 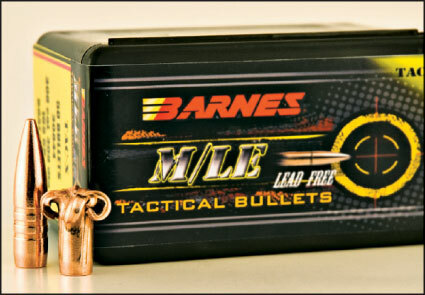 For more information, visit www.barnesbullets.com. 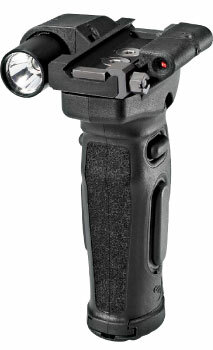 Somewhat of a departure from what has made Crimson Trace a name in laser grip products is their new MVF-515. This modular vertical foregrip features a laser and a variable light source. Modular side panels are removable suggesting interchangeable options such as an infrared laser or multi-color lights. Ambidextrous activation is intuitive with separate pads for activating the laser and light. A tactile surface helps keep a confident grip and the solid mounting claw for tactical rails with recoil stud keeps the foregrip in the same place for consistent targeting. 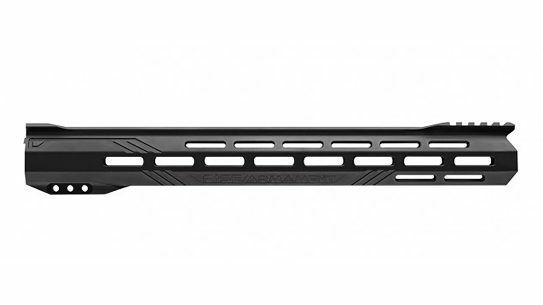 This system is well suited for any rifle featuring a rail under the forend. For more information, visit www.crimsontrace.com. At the request of a distributor that works closely with British special operations, the new Blackhawk UK-SFK evolved from an evaluation of several standard knives. They were impressed with the handle ergonomics and strength of Brent Beshara’s XSF-1 dagger but wanted more conventional cutting performance. The result fused the Beshara handle and a blade profile inspired by the original “Applegate-Fairbairn” dagger. To meet specific requirements, Blackhawk also developed a sheath capable of horizontal attachment to a MOLLE platform and a release that is ergonomically identical to the SERPA holster in use by British special operations. All initial production of the UK-SFK is being shipped to the UK and commercial variants should be available May 2009. For more information, visit www.blackhawk.com.